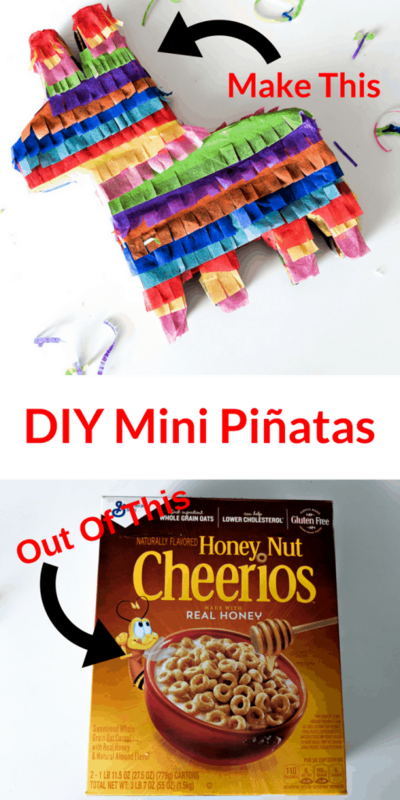 Make these fun mini piñatas in 30 minutes or less with a cereal box, tissue paper and the Cricut Maker. There is something about things that are miniature that I just love. Everything from mini macarons to mini tacos, mini coopers and everything in between; if it’s a smaller version of the original I think it is just so cute! That must be why I love my baby girl so much *wink wink*. 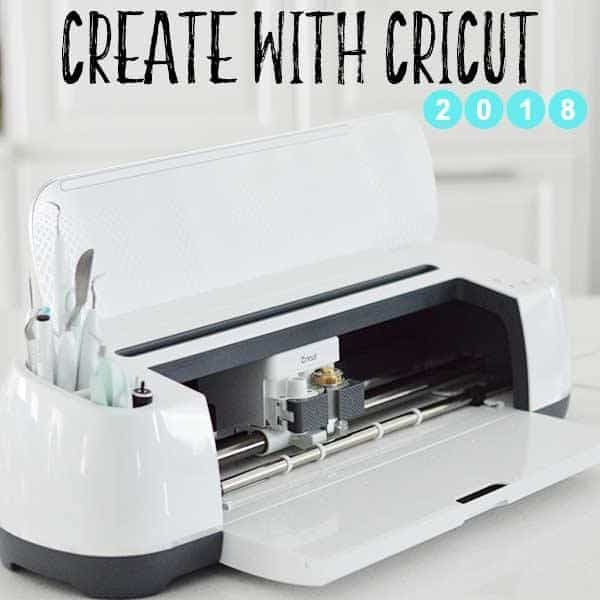 When I was thinking about what I wanted to make this month for our Cricut challenge I just couldn’t get the word mini out of my head. Our challenge this month was to make something out of a cereal box. At first I was stumped, but then I remembered this Olaf piñata I made out of an old exercise bike box and I thought this would be the perfect mini project to make! I was surprised how easy it was to make too! Once I dug out an old regular sized cereal box (I had a tough time getting the thick cereal boxes from Costco to cut), I had this cute little guy made in about 20 minutes. 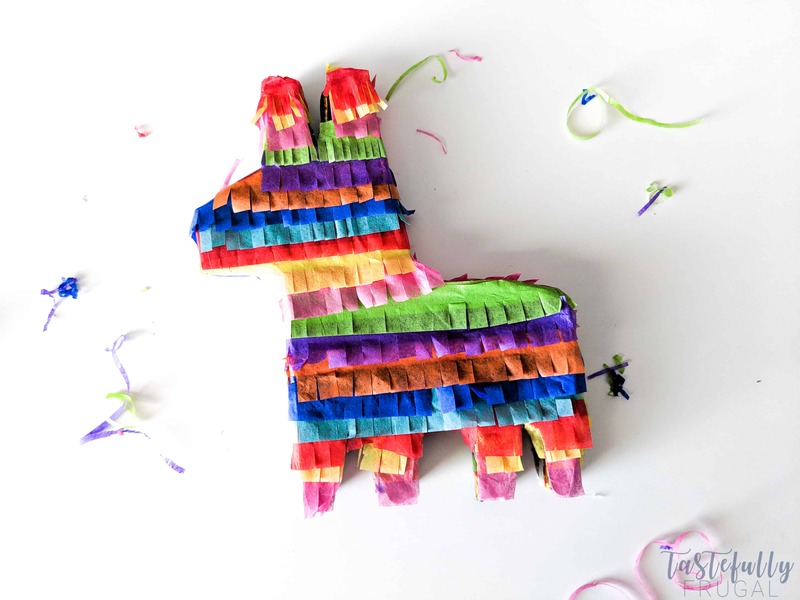 I’ve actually made quite a few piñatas for my kids’ birthday parties and this was the easiest yet! Not only was it MUCH smaller but, thanks to the Cricut Maker, the time consuming job of cutting all the tissue paper into fringes took no time at all. The best part was this project literally cost me $0 to make. I had the cereal box, tissue paper and the rest of the supplies to put together already. Nothing’s better than using up craft supplies you already have to make something new. And it makes the hubby happy that I’m actually using some of the things I have already – it’s a win-win! But enough about me… let’s get to this cutie! 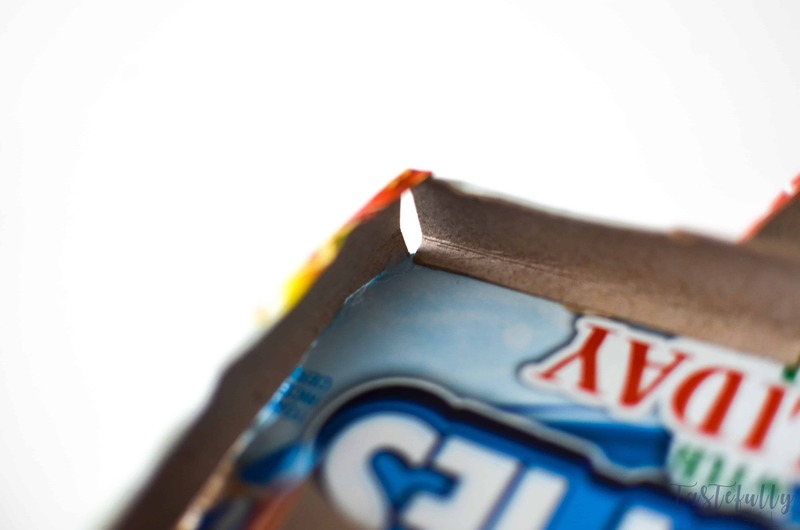 Cut your cereal box so you have the front and the back separate from the sides. Select your material as Cereal Box and I had to do more pressure to get it to cut. Place one side of your cereal box on the StandardGrip cutting mat. 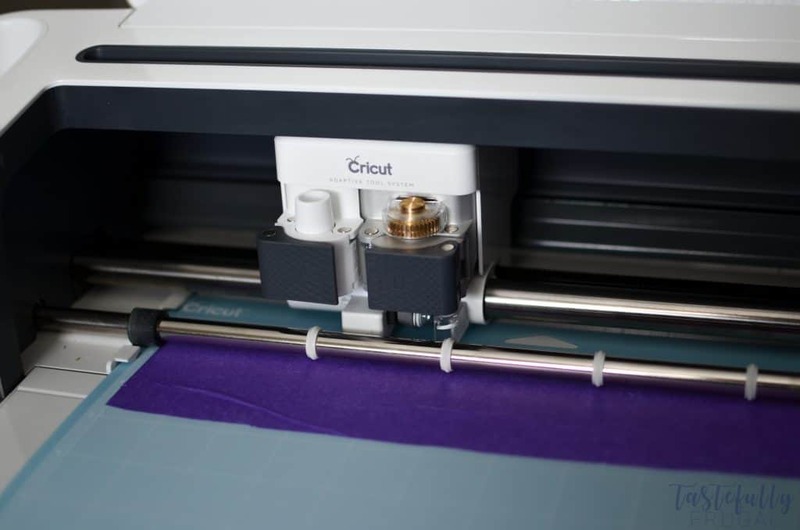 Put the scoring stylus in the A clamp on your Cricut and the deep cut blade in the B clamp. Load each color tissue paper, one at a time, on to the LightGrip cutting mat. If you have an older mat that isn’t super sticky – use that mat. It makes it easier to get the tissue paper off. Change the material to tissue paper on the cut screen and you’ll be prompted to replace the deep cut blade with the rotary blade. Cut the tissue paper and use the spatula to lift the tissue paper off the mat. Once everything is cut it’s time to put together our piñata. Start by folding on the long pieces at the crease made by the scoring stylus. 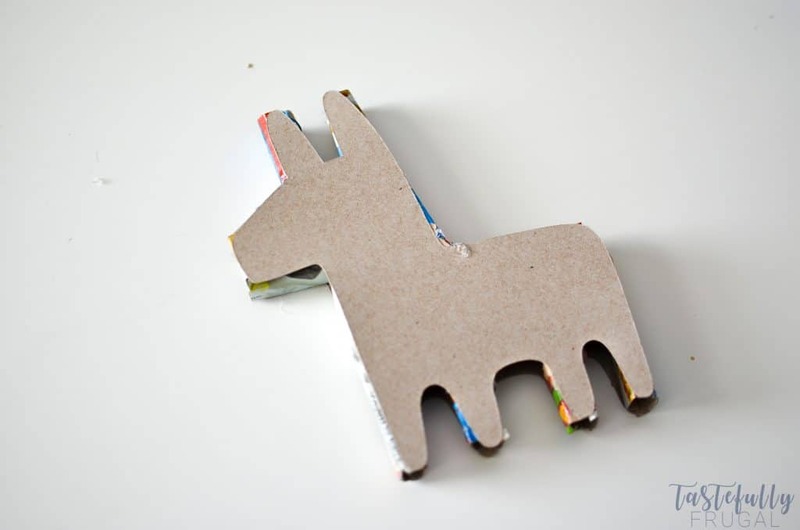 Place a bead of hot glue along one edge of the donkeys and place the folded edge of the long piece along the hot glue with the center of it facing outwards. Repeat along the outside edge of one of the donkey shapes. You may need to cut your long strips to fit around the edges. Hot glue along the outside edge of the second donkey and place on top of the long strips. 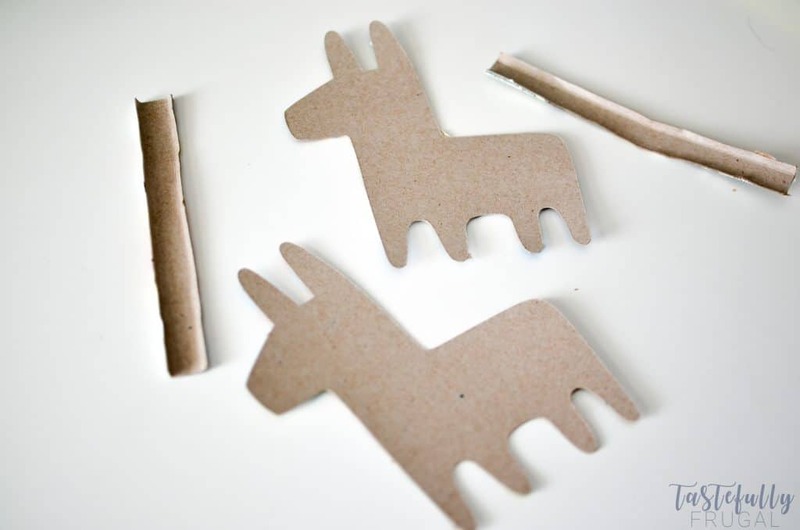 The folds on the long strips make it easier to attach the two outside donkey pieces. 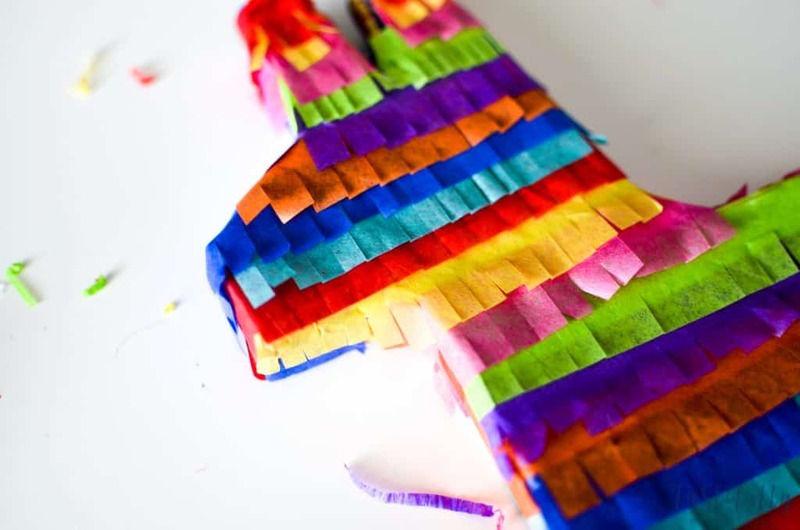 Using a glue stick, glue tissue paper along the front and back side of your piñata. 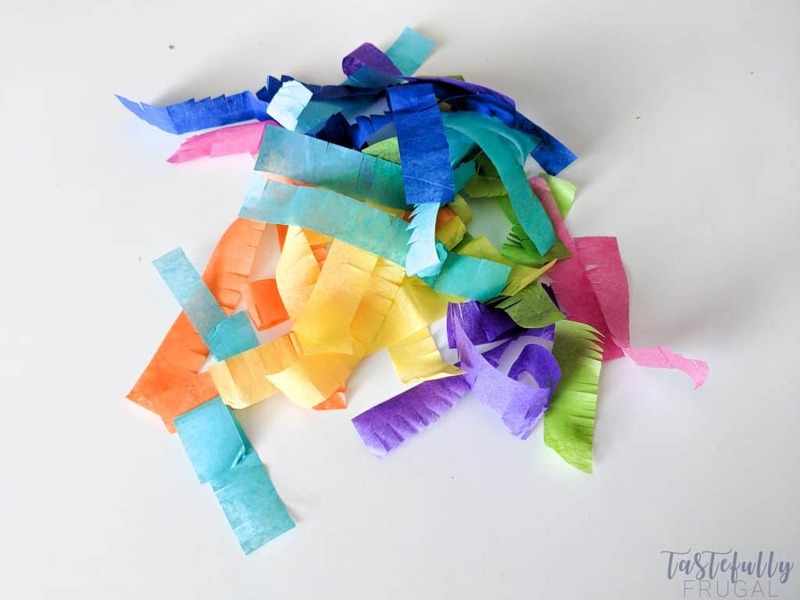 Glue extra tissue paper pieces along the edges of the piñata. And there you have it. I didn’t fill mine with candy because I’d be too tempted to break this cutie open and eat it. But you could easily fill yours with candy before you completely glue the second half together. oh no Linda! I’m so sorry. I am currently chatting with member care to resolve the issue. I’ll let you know as soon as I learn more. Thank you for this tutorial. 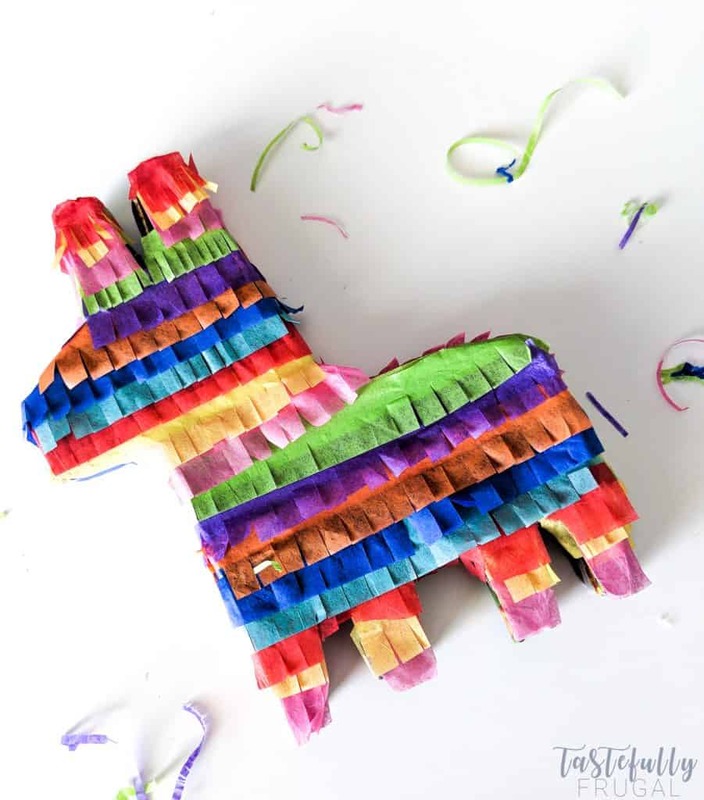 When I try to open the design in Design Space, I get a completely blank canvas – it’s titled Mini Pinata, but there is nothing on it. Is this design still available? Oh no! I don’t know why it’s not showing up but I am chatting with member care now and will let you know as soon as it’s back up!